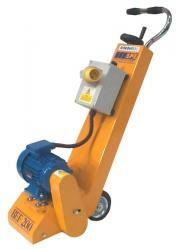 This Planer/Scarifier is compact, robust and easily manoeuverable. Reliability and nominal maintenance qualities ensure this machine is invaluable to the contractor. The planer is available in an 110v at 32 amp model and is designed to perform a multitude of functions with optimum results.